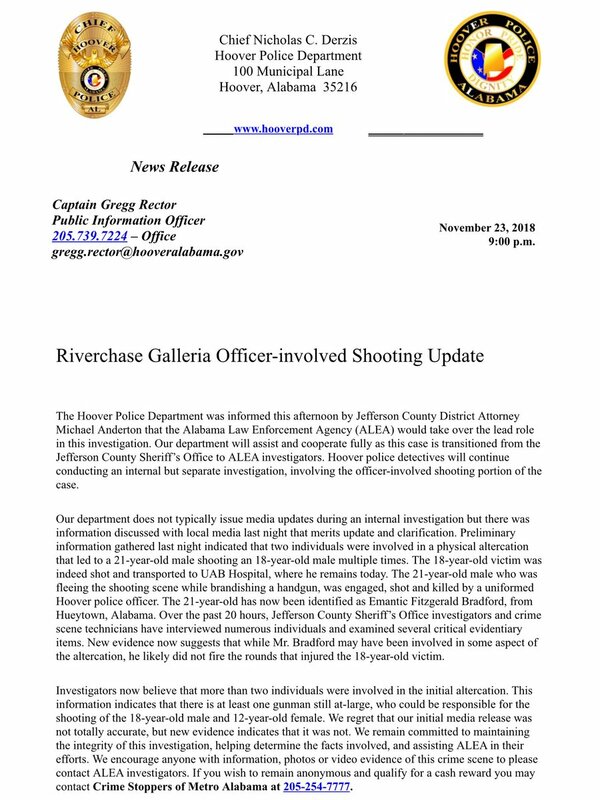 The Alabama Department of Law Enforcement will be handling the investigation into the officer-involved shooting that occurred on Thursday night at Riverchase Galleria Mall in Hoover. Hoover Police initially said that the man who was shot by an officer was the perpetrator. 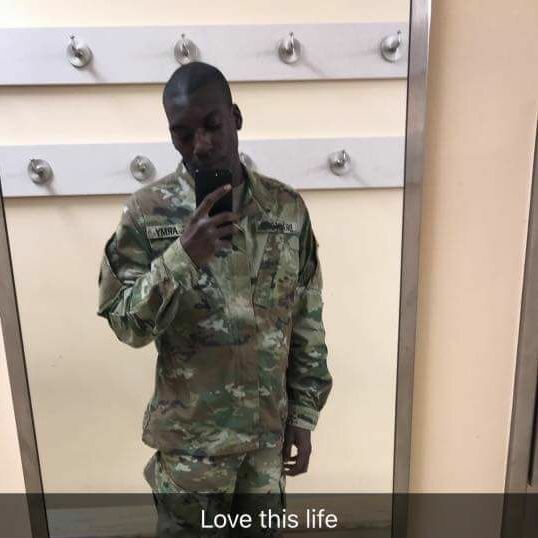 Now they say the man killed at the Alabama Mall was not the gunman. The man shot was Emantic Fitzgerald Bradford Jr., 21, of Hueytown. He was a combat engineer in the US Army, and the son of a Birmingham policeman according to the Daily Mail. The police officer who shot Mr. Bradford has not been named and is on administrative leave. Mr Bradford was said to be fleeing the scene and brandishing a weapon, which made it seem as though he was the shooter. To put it bluntly, now there is a suspect on the loose and the trail is cold. The 12 year old girl is in stable condition. The 18 year old male is still in serious condition as of Friday night. Police are now saying that there were more than two people involved in the fight inside the Riverchase Galleria Mall. Jefferson County District Attorney Mike Anderton said the State Bureau of Investigation would be leading the probe after discovering an eyewitness is related to Jefferson County Sheriff-Elect Mark Mettway, AL.com reported. Police has asked anyone with information regarding the shooting is asked to contact investigators.